We’ve been seeing reports from analysts about Battlefield 5 under-performing in the pre-orders department compared to Red Dead Redemption 2, and Call of Duty: Black Ops 4. Regardless of how much stock you may want to put in statements from financial analysts, it now appears Battlefield 5 is also under-performing even by EA’s internal expectations. Venture Beat reports the game’s pre-order numbers have been below expectations for EA, even if they’re “significantly” higher than those of Titanfall 2 – a game it’s recently been compared to because of their somewhat similar release situation. 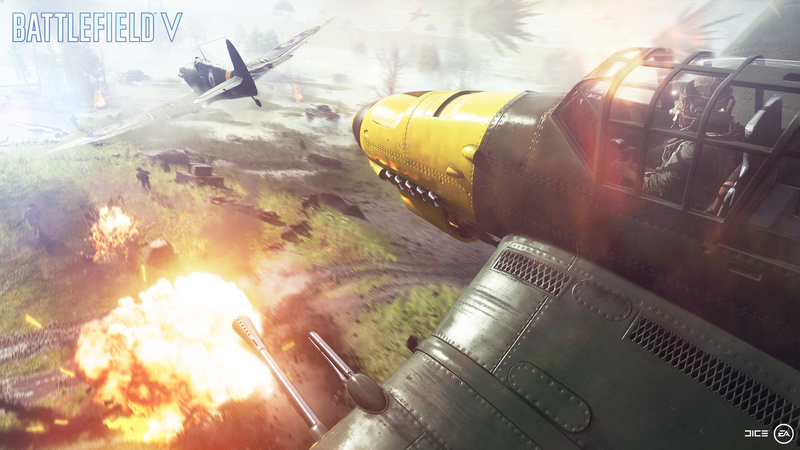 The report suggests, according to sources familiar with online retail, that this particular phenomenon is not unique to Battlefield 5. Call of Duty: Black Ops 4 is also under-performing, it says. Red Dead Redemption 2 is the only game doing well, in fact. But regardless of the cause, EA has a plan in place to bounce back, assuming the game doesn’t do well at launch. The report mentions extensive post-launch support, and the upcoming battle royale mode as just some of what the publisher has in store to keep players engaged. Interestingly, there’s also talk about a “big surprise for long-time Battlefield fans,” which EA may release as a free add-on to win back players. It’s not clear what this surprise could be – there’s no solid list of things the Battlefield community agrees on, but it sounds significant enough at least. It’s hard to predict Battlefield 5’s fate at this point. Red Dead Redemption 2 could very likely cause the rest of October, and November’s games major damage, but the games audience is big enough to support several big releases, so no one really knows.